The NBA Finals are essentially over, with Friday’s Game 4 serving as nothing more than a formality. Sure, the Cleveland Cavaliers may pull a repeat from last year, winning tomorrow night to send the series back to Oakland at 3-1. Still, the Golden State Warriors are winning another championship. There’s no denying that. With the series all but done, you can’t help but wonder what the Cavs could’ve done differently, how this would’ve played out had they received help from any specific players. 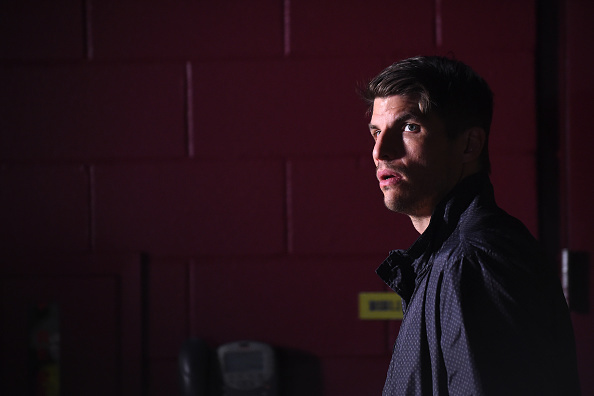 In my opinion, look no further than Kyle Korver. Cleveland’s sharpshooter has been a non-factor in this series, and his struggles have gone a long way towards ending his team’s season. On paper, Korver seems like a perfect weapon for the Cavs to use against the Warriors. Just as many Golden State players can score from distance in the blink of an eye, Korver typically needs nothing but a couple inches of free space to bury a three-pointer. Cleveland leaned on the vet numerous times throughout this postseason, particularly in the conference semifinals when he averaged 14.5 PPG while helping sweep the Toronto Raptors. What Korver offered in that series helped the Cavs make quick work of their opponent. What he’s providing now is helping to bring a quick end to their season. Korver has scored four points in the Finals. That’s not his PPG, that’s literally how many total points he’s provided through the first three games. It goes without saying this kind of contribution is a hindrance on Cleveland’s chances. Korver has missed all but one of his ten three-point attempts. In Game 3, he missed a bunny right under the rim. Absolutely nothing is going in for Korver right now, something the Cavs offense has struggled to overcome. To be fair, he’s not getting nearly as many open looks as he found in the previous rounds. Golden State has effectively limited Korver’s ability to get free on screens, which has thrown him off his game. Equally hurting his effectiveness is the fact Cleveland can’t hide him on defense. Korver is well past the days when he could hold his own on this side of the court, and he’s clearly struggling to defend against any of Golden State’s numerous offensive threats. While there are notable reasons why Korver can’t find his grove in this series, it doesn’t change the fact Cleveland is struggling to overcome his ineffectiveness. No team in the NBA can consistently stop the Warriors offense. Eventually, you’re forced to try and out-score them. So far, the Cavs haven’t been able to do this. When Korver is unable to provide his typical instant offense, it makes this even more of an uphill battle for Cleveland. Some fans are noting Korver simply isn’t getting enough minutes, that he’s not on the court long enough to make an impact. They’ll point to the fact his average minutes per game dropped from 21.7 in the Eastern Conference Finals to 14.7 in this series, claiming there’s no way he can get into a shooting rhythm when he’s barely on the court. While I understand this sentiment, it’s one which is easy to poke holes in. Simply put, Korver has become such a liability when he’s not scoring, the Cavs can’t afford to leave him on the court for long. Golden State has been so good at limiting his looks that he’s averaging just over three shots per game. Korver hasn’t hit a field goal since Game 1, and the four attempts he made last night were, for the most part, rushed. Couple this with his defensive struggles, and you can see he’s getting his minutes cut not because of any sort of coaching blunder, but because Cleveland is playing worse when he’s on the floor. This is in no way blaming the Cavs’ predicament solely on Korver. To do so would be off-base. At the same time, he’s not helping their cause. Cleveland’s season will likely end tomorrow night, sending the team into another summer spent wondering if there was any way it could’ve overcome Golden State. In the grand scheme of things, there’s little the Cavs could do differently to prevent getting stomped again. More points from Korver would help, but this outcome would likely be unavoidable. Still, the Warriors have completely erased one of the most effective shooters in the history of the league, and it’s a big reason why Cleveland’s stay in the Finals will once again be short.